Posted By:Unknown | At:4:36 PM Be the first to comment! 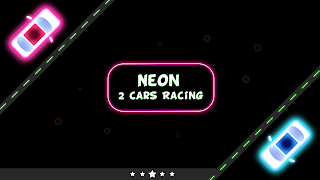 Welcome to a world where Neon colored cars compete against each other! Accelerate, drive, slide and jump up to the top of the league. Do you think it's easy to go fast in a straight line? Control the pink and blue cars competing simultaneously. Click to change direction. This puts your reflexes to the test against time and movement. Click ... drive ... easily? It is an addictive driving game! The cute little Neon colored cars race to collect circles and triangles. Beware of squares. Do not run into obstacles and do not miss the circle, it's the only rules in this fun game. Collect points, part of the global scoring list, and challenge other players all over the world. This exciting racing saga will make you want to play all day!